Updated for 2019 with an improved fit and new colour options, the long-sleeved version of PNS's ever-popular Mechanism jersey is a great choice for Spring and Autumn weather. Designed to bridge the seasons and the conditions between, the Long Sleeve Jersey is the ideal addition to your training and racing arsenal. 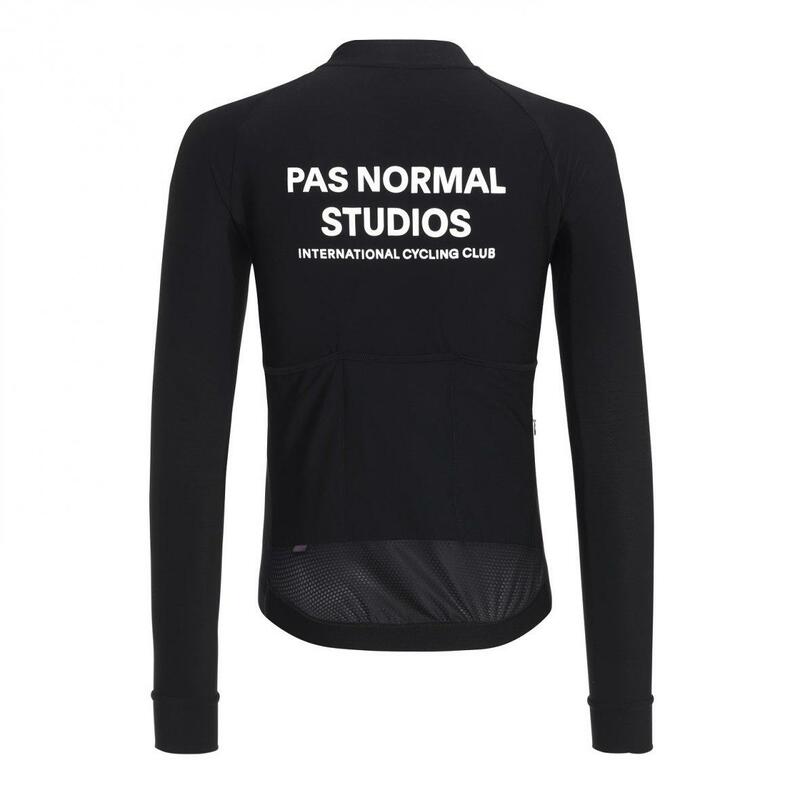 With its signature race fit and expanded line of seasonal colour-ways, this jersey exhibits the Pas Normal Studios mentality of seamlessly combining visual aesthetics with quality, technical apparel. 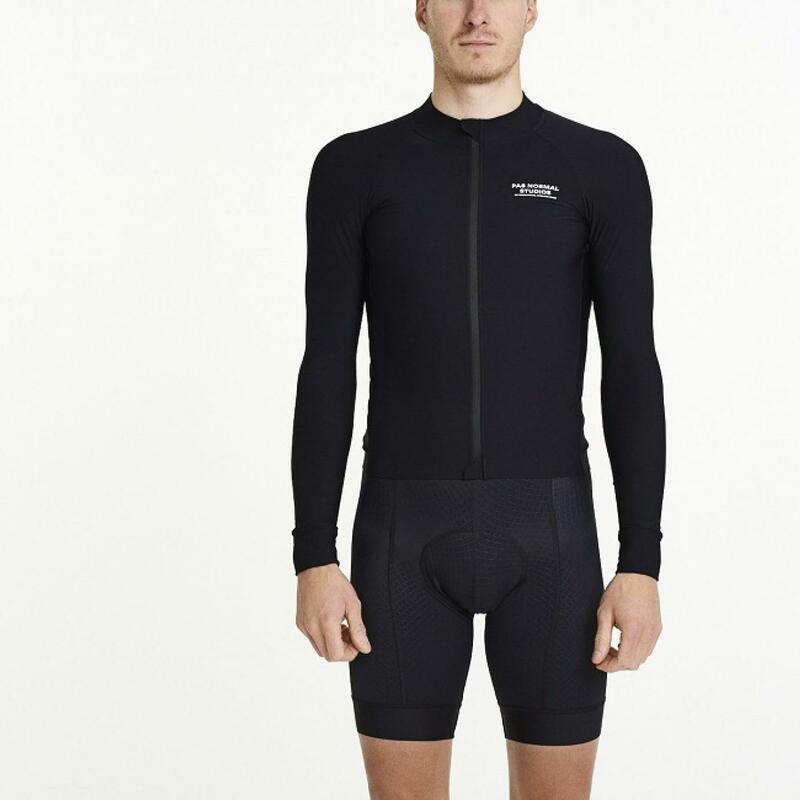 Meticulously refined over the demands of the changing seasons, the Long Sleeve Jersey is suitable for the most unpredictable weather; from cool, winter mornings to windy, alpine descents. 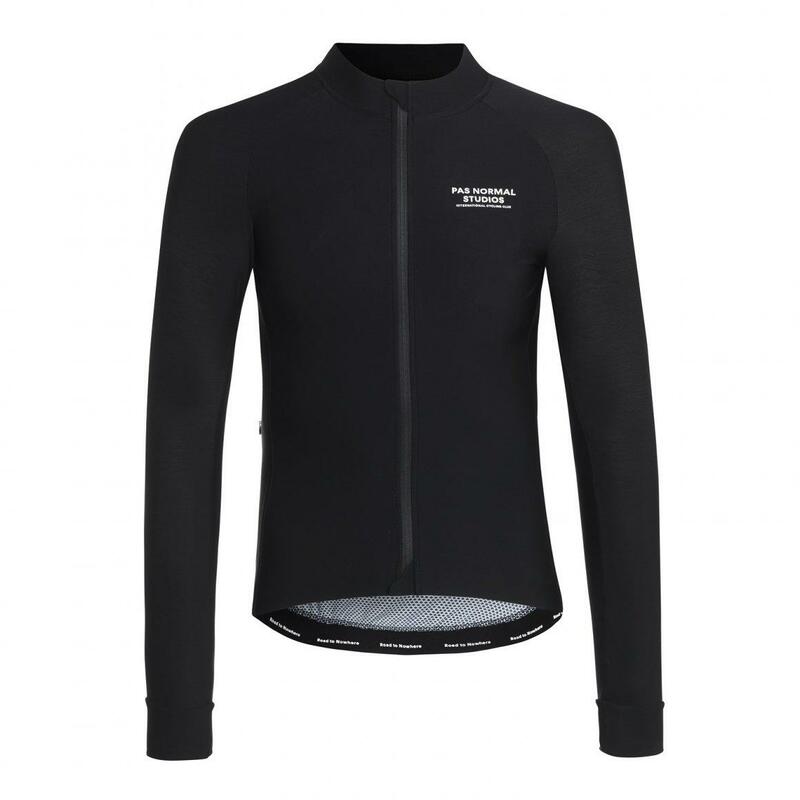 The Long Sleeve Jersey has a soft and silky hand feel while remaining highly breathable. Technically, it stands out with its great ability to channel and regulate heat in the changing weather conditions. For improved breathability, a lightweight mesh pattern has been added to the lower back panel to prevent the build up of moisture in your back pockets. The garment features antimicrobial and hydrophilic properties, keeping you dry and feeling fresh the harder you push. Guarded zip ends have been included to prevent skin irritation and protect your bib shorts. Road to Nowhere embossed ornamenting is integrated along the bottom inner edge.